So, once you have this piece of code, you need to place this on all the pages which you want to track. As told GA tracks most of the metrics by default like Visits, Unique Visitors, Average time spent on site and so on. But it has a limitation, it cannot track every user action that's happening on the website. In such situations you need to tell GA explicitly that this user is performing an action, track this. So to understand this better let's consider an example. Let's take any e-commerce website, Amazon. If you are a user of Amazon and say you are purchasing a book on the site. If I am studying the visitor behavior on Amazon I would be very interested in the number of purchases that are happening on the website and how people are making the purchase, meaning on which step they are dropping off. This data will help me a lot in understanding the architecture of Amazon whether people are finding it easy to make a purchase or not. So to track such a situation, I would be needing the number of clicks that are happening on the buttons belonging to each step in the process so that I can create an imaginary funnel. 1. You need to touch your source code whenever you want to implement some new functionality. 3. Sometimes your website might be based out of a complex CMS implementation which needs a lot of process to move your code from Development environment to Production environment. How Tag Management System Works? How is it different from Traditional Implementation? 1. 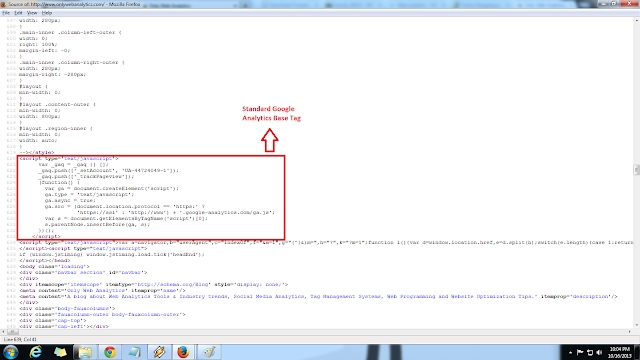 You need not touch your source code for tagging your website for most of the time. 2. You can add any number of new tools just by a click from the TMS console and at the same time there is no clutter on your website. 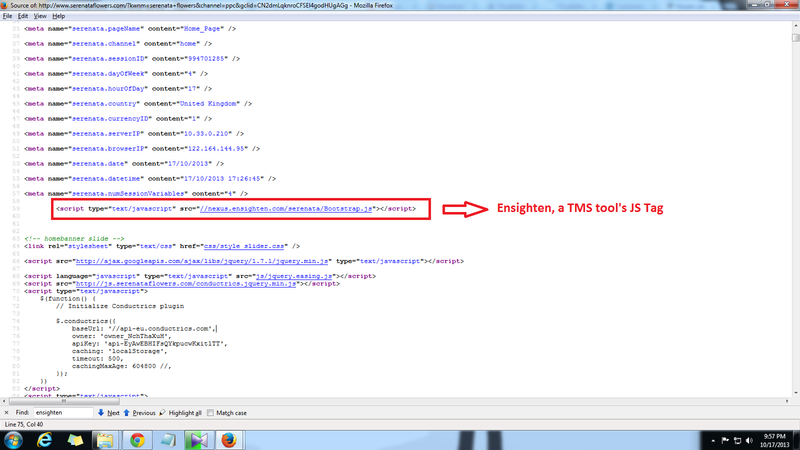 Since the TMS JS tag is hosted by third party on Cloud, it will not affect your page performance. 3. Most of the TMS tools are cloud based tools, so you can access the tools via Internet and you can make the changes in the console if you have proper rights in the console. Once you are fine with the changes you will be able to publish the changes to cloud which will be affected on the TMS JS tag within a very short time. I guess you should get a fair amount of idea on TMS. Some of the people in the industry argues about the disadvantages of having a TMS tool. But I will save that for another post. Also in the future posts I will cover a detailed introduction to different leading TMS tools in the market. That's it for now. If you have any concerns or queries, you are welcome to connect to me via any Social Media network (After, all Social Media can change lives: Read about How I got a job because of Social Media?) or just leave a comment here. Ram can you talk a bit on tealium and ensighten and their pro's and cons may be in future posts ..
Sure Santosh! I was planning to make a comparison between Tealium, Ensighten and Google Tag Manager. I hope I will write it soon. Thanks Lokesh :) Sure I will keep posting. This is superb Ram. It really helped me a lot. I want to know more of the Web Analytics and different TMS tools, their architecture. If you could please spare some time to explain that as well, it would be great.